Because probate is time-consuming, potentially expensive and public, avoiding probate is a common estate planning goal. A living trust (also referred to as a revocable trust, declaration of trust or inter vivos trust) acts as a will substitute, providing instructions for the management of your assets, either during your life if you’ve funded the trust, or on your death. You’ll still also need to have a short will, often referred to as a “pour over” will. How does a living trust work? You transfer assets into a trust for your own benefit during your lifetime. You can serve as trustee or select a professional trustee. In nearly every state, you’ll completely avoid probate if all of your assets are in the living trust when you die, or your assets are held in a manner that allows them to pass automatically by operation of law (for example, a joint bank account). The pour over will specifies how assets you didn’t transfer to your living trust will be transferred at death. Essentially, you retain the same control you had before you established the trust. Whether or not you serve as trustee, you retain the right to revoke the trust and appoint and remove trustees. If you name a professional trustee to manage trust assets, you can require the trustee to consult with you before buying or selling assets, Generally, the trust doesn’t need to file an income tax return until after you die. Instead, you pay the tax on any income the trust earns as if you had never created the trust. A living trust offers additional benefits. First, unlike probate, your assets aren’t exposed to public record. Besides keeping your affairs private, this makes it more difficult for anyone to challenge the disposition of your estate. Second, a living trust can serve as a vehicle for managing your financial assets if you become mentally incapacitated or disabled. A funded living trust avoids potentially embarrassing conservatorship proceedings and related costs, and it frequently offers greater control than a durable power of attorney because the trustee can manage trust assets for your benefit. Who should draw up your will or living trust? Obviously we are going to say "A lawyer!" Don’t try to do it yourself. Not only are Estate and trust laws are much too complicated., but you don't know what you don't know in regards to them. You should seek competent legal advice before finalizing your estate plan. Whether you choose a living trust, or simply a Will, you need to select someone to administer the disposition of your Estate, an executor or personal representative and, if you have a living trust, the successor trustee. An individual, such as a family member, a friend or a professional adviser, or an institution (such as a bank or trust company) can serve in these capacities. Many people name both an individual and an institution to leverage their collective expertise. What is the difference between an executor and a successor trustee? In a Will, we refer to the personal representative as an Executor, and in a Living Trust we refer tot he personal representative as a successor trustee. If you prefer, you can name separate guardians for your child and his or her assets. Taking the time to name a guardian or guardians now ensures your children will be cared for as you wish if you die while they’re still minors. You also should be aware of the other procedures involved in estate settlement. Here’s a quick review of some of them. Your attorney, as well as the organizations mentioned, can provide more details. S﻿ocial Security benefits. Fo﻿r the surviving spouse to qualify, the deceased must have been age 60 or older or their children must be under age 16. Disabled spouses can usually collect at an earlier age. Surviving children can also get benefits. Empl﻿oyee benefits. The decease﻿d may have insurance, back pay, unused vacation pay, and pension funds the surviving spouse or beneficiaries are entitled to. The employer will have the specifics. Begin by listing all of your assets and their value, including cash, stocks and bonds, notes and mortgages, annuities, retirement benefits, your personal residence, other real estate, partnership interests, life insurance, automobiles, artwork, jewelry, and collectibles. If you’re married, prepare a similar list for your spouse’s assets. And be careful to review how you title the assets, to include them correctly in each spouse’s list. If you own an insurance policy at the time of your death, the proceeds on that policy usually will be included in your estate. Remember: That’s proceeds. Your $1 million term insurance policy that isn’t worth much while you’re alive, is suddenly worth $1 million on your death. If you have a large estate, a significant share of those proceeds may go to the government as taxes, not to your chosen beneficiaries. Here’s a simplified way to compute your estate tax exposure. Take the value of your estate, net of any debts. Also subtract any assets that will pass to charity on your death—such transfers are deductions for your estate. Then if you’re married and your spouse is a U.S. citizen, subtract any assets you’ll pass to him or her. Those assets qualify for the marital deduction and avoid estate taxes until the surviving spouse dies. The net number represents your taxable estate. You can transfer up to the exemption amount at death free of estate taxes. This amount is continuously changing, because of this the best way to get an accurate estimate is to get in contact with an estate planning attorney. If your taxable estate is equal to or less than the exemption and you haven’t already used any of the exemption on lifetime gifts, no federal estate tax will be due when you die. But if your estate exceeds this amount, it will be subject to estate tax. The marital deduction is one of the most powerful estate planning tools. Any assets passing to a surviving spouse pass tax-free at the time the first spouse dies, as long as the surviving spouse is a U.S. citizen. Therefore, if you and your spouse are willing to pass all of your assets to the survivor, no federal estate tax will be due on the first spouse’s death­ even without any estate tax repeal. But this doesn’t solve your estate tax problem. First, if the surviving spouse doesn’t remarry, that spouse won’t be able to take advantage of the marital deduction when he or she dies. Thus, the assets transferred from the first spouse could be subject to tax in the survivor’s estate, depending on when the surviving spouse dies. Second, from a personal perspective, you may not want your spouse to pass all assets to a second spouse even if it would save estate taxes. Thus, you can provide support for your spouse during his or her lifetime but retain control of what happens to the estate after your spouse’s death. Because of the marital deduction, no estate taxes are due at your death. But the entire value of the QTIP trust will be included in your spouse’s estate. When you quantify the numbers to determine what cash flow your family will need, the result may be surprisingly high. 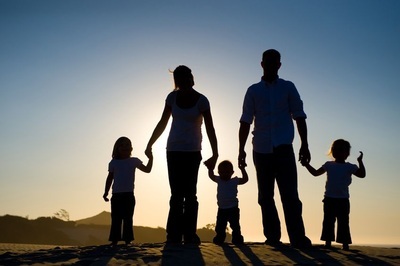 Life insurance can play an important role in your estate plan. It’s often necessary to support your family after your death or to provide liquidity. You must determine not only the type and amount of coverage you need, but also who should own insurance on your life to best meet your estate planning goals. Your first goal should be taking care of the people you care about. Carefully analyze how much they’ll need to replace your lost earning power. The first question is whether your spouse is employed. If your spouse is, consider whether becoming a single parent will impede career advancement and earning power. If your spouse isn’t employed, consider whether he or she will start to work and what his or her earning potential will be. 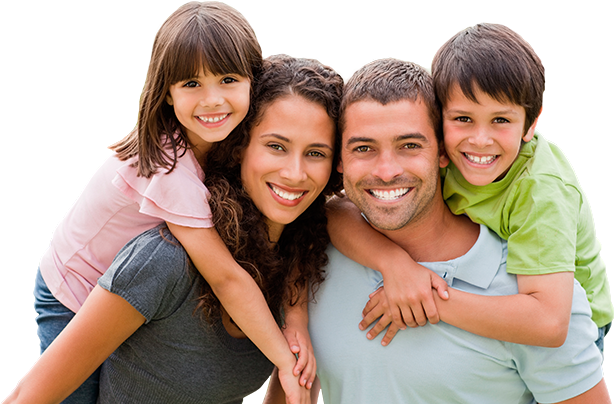 Next, look at what funds may be available to your family in addition to your spouse’s earnings and any savings. 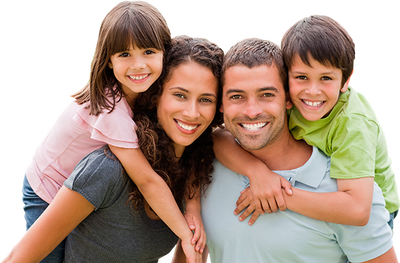 Then estimate what your family’s living expenses will be. Consider your current expenditures for housing, food, clothing, medical care, and other household and family expenses; any significant debts, such as a mortgage and student loans; and your children’s education, which can be difficult to estimate. How do you determine the amount of insurance you need? Start by calculating how much annual cash flow your current investments, retirement plans and any other resources will provide. Use conservative earnings, inflation and tax rates. Compare the amount of cash flow generated with the amount needed to cover your projected expenses. Life insurance must cover any shortfall. When you quantify the numbers to determine what cash flow your family will need, the result may be surprisingly high. Remember that you may be trying to replace 25 or more years of earnings. Insurance can be the best solution for liquidity problems. Estates are often cash poor, and your estate may be composed primarily of illiquid assets such as closely held business interests, real estate or collectibles. If your heirs need cash to pay estate taxes or for their own support, these assets can be hard to sell. For that matter, you may not want these assets sold. Even if your estate is of substantial value, you may want to purchase insurance simply to avoid the unnecessary sale of assets to pay expenses or taxes. Sometimes second-to-die insurance makes the most sense. Of course, your situation is unique, so get professional advice before purchasing life insurance. If you own life insurance policies at your death and you die while the estate tax is in effect, the proceeds will be included in your estate. Ownership is usually determined by several factors, including who has the right to name the beneficiaries of the proceeds. The way around this problem? Don’t own the policies when you die. But don’t automatically rule out your ownership either. Determining who should own insurance on your life is a complex task because there are many possible owners, including you or your spouse, your children, your business, and an irrevocable life insurance trust (ILIT). Generally, to reap maximum tax benefits you must sacrifice some control and flexibility as well as some ease and cost of administration. You or your spouse. Ownership by you or your spouse generally works best when your combined assets, including insurance, don’t place either of your estates into a taxable situation. There are several non tax benefits to your ownership, primarily relating to flexibility and control. The biggest drawback to ownership by you or your spouse is that, on the death of the surviving spouse (assuming the proceeds were initially paid to the spouse), the insurance proceeds could be subject to federal estate taxes, depending on when the surviving spouse dies. Your children. Ownership by your children works best when your primary goal is to pass wealth to them. On the plus side, proceeds aren’t subject to estate tax on your or your spouse’s death, and your children receive all of the proceeds tax-free. There also are disadvantages. The policy proceeds are paid to your children outright. This may not be in accordance with your general estate plan objectives and may be especially problematic if a child isn’t financially responsible or has creditor problems. Your business. Company ownership or sponsorship of insurance on your life can work well when you have cash flow concerns related to paying premiums. Company sponsorship can allow premiums to be paid in part or in whole by the company under a split-dollar arrangement. But if you’re the controlling shareholder of the company and the proceeds are payable to a beneficiary other than the company, the proceeds could be included in your estate for estate tax purposes. IN AN ILIT WE TRUST Walter was the sole income provider for his family. While working on his estate plan, he and his adviser determined he needed to purchase life insurance to provide for his family if something happened to him. After calculating the size of the policy his family would need, Walter had to determine who should own it. Because his children were still relatively young, Walter ruled them out as owners. He was concerned that, if his wife were the owner and something happened to her, his children would lose too much to estate taxes. So Walter decided to establish an ILIT to hold the policy. Despite the loss of some control over the policy, Walter felt the ILIT offered the best combination of flexibility and protection for his family, even if the estate tax was no longer an issue. An ILIT. A properly structured ILIT could save you estate taxes on any insurance proceeds. Thus, a $1 million life insurance policy owned by an ILIT instead of by you, individually, could reduce your estate taxes by as much as $450,000 in 2008. How does this work? The trust owns the policies and pays the premiums. When you die, the proceeds pass into the trust and aren’t included in your estate. The trust can be structured to provide benefits to your surviving spouse and/or other beneficiaries. (See Case study II.) ILITs have some inherent disadvantages as well. One is that you lose some control over the insurance policy after the ILIT has been set up. Take advantage of Crummey trusts. Years ago, the Crummey family wanted to create trusts for their family members that would provide restrictions on access to the funds but still qualify for the annual gift tax exclusion. Language was included in the trust that allowed the beneficiaries a limited period of time in which to withdraw the funds that had been gifted into the trust. If they didn’t withdraw the funds during this period, the funds would remain in the trust. This became known as a “Crummey” withdrawal power. The court ruled that, because the beneficiaries had a present ability to withdraw the funds, the gifts qualified for the annual gift tax exclusion. Because the funds weren’t actually withdrawn, the family accomplished its goal of restricting access to them. The obvious risk: The beneficiary can withdraw the funds against the donor’s wishes. To protect against this, the donor may want to explain to the beneficiaries that they're better off not withdrawing the funds, so the proceeds can pass tax-free at his or her death. Your tax or legal adviser can counsel you about other ways of drafting the document to protect against withdrawals. A trust of this type qualifies for the annual gift tax exclusion even though the child has no current access to the funds. Therefore, a parent can make annual gifts into the trust while the child is a minor. The funds accumulate for the future benefit of the child, and the child doesn't even have to be told about the trust. But one disadvantage is that the child must have access to the trust assets once he or she reaches age 21. Consider whether “taxable” gifts make sense The estate and gift tax system is a combined one with two notable differences between the taxes: 1) the gift tax isn't scheduled to be repealed, and 2) the gift tax exemption remains at $1 million while the estate tax exemption has increased. Taxable gifts equal to or less than the gift tax exemption amount made by an individual create no gift tax, just as assets in an estate equal to or less than the estate tax exemption amount create no estate tax. But note that this is on a combined basis. In other words, if you make $200,000 of taxable gifts during your life, the amount of assets in your estate that will avoid estate taxes will be reduced by $200,000. You can use the exemption during life or at death, but not both. WHEN “TAXABLE” GIFTS SAVE TAXES Let’s say John has an estate of ten million (and thus has substantial estate tax exposure). In 2015 he has already given $14,000 for the year to each of his chosen beneficiaries and then gives away an additional $1 million of assets. Assume that, in the next five years, those assets will increase in value by 50%. 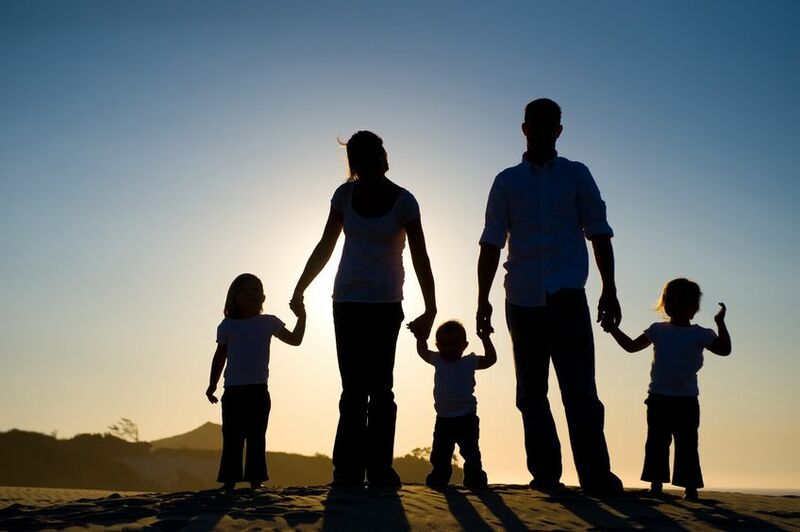 Family Limited Partnerships Leverage your tax-free gifts with a Family Limited Partnership, or FLP, can be excellent tools for long-term estate planning, because they can allow you to increase the amount of gifts you make. But the IRS frequently challenges FLPs, so caution is needed when implementing them. This type of partnership converts an estate plan into a family endeavor, allowing you to remain actively involved throughout your lifetime. FLPs are special because they may allow you to give assets to your children (and grandchildren) at discounted values for gift tax purposes. Here's how it works: First you select the type of assets (such as real estate or an interest in a business) and the amount (based on the gift tax rules discussed earlier) and place them into the FLP. Next you give some or all of the limited partnership interests to your children and grandchildren. The limited partnership interests gives your family members ownership interests in the partnership, but no right to control its activities. Control remains with the small percentage (at least 1%) of partnership interests known as general partnership interests, of which you (and possibly others) retain ownership. The result is that you can reduce your taxable estate by giving away assets (the partnership interests), without giving up total control of the underlying assets and the income they produce. Because the limited partners lack any control, these interests can often be valued at a discount. Care must be taken to do everything one hundred percent correctly. Please seek professional advice about how this might affect the outcome when you create an FLP or make a gift of FLP interests. In any case, when making a gift of an FLP interest, obtaining a formal valuation by a professional business appraiser is essential to establish the value of the underlying assets and of the partnership interests. Charitable Contributions If you share your estate with charity, it will cut your estate tax bill. Direct bequests to charity are fully deductible for estate tax purposes. Leave your entire estate to charity, and you’ll owe no estate taxes at all. In addition to tax advantages, contributing to charity is a good way to leave a legacy in your community or to instill in your heirs a sense of social responsibility. But what if you want to make a partial bequest to charity and a partial gift or bequest to your natural beneficiaries? A trust can be the answer. Provide for family today and charity tomorrow with a CRT. Your will can create a trust that will pay income for a period of time to beneficiaries you name. At the end of the stated period, the remaining trust assets pass to your charitable organization(s) of choice. This is a charitable remainder trust (CRT). For example, let’s say you want to make sure your elderly father is provided for after your death. Income from the trust created upon your death goes to him until he dies. At that time, the remainder passes to charity. You get what you wanted—you provide for both your father and charity. And, since you’re making a partial charitable donation at the time of your death, your estate receives a deduction for a portion of the trust’s value. Government tables determine the size of the estate tax deduction based on the value of the trust assets, the trust term and the income to be paid to the beneficiary. The value of the income interest given to the non charitable beneficiary is a taxable bequest. Take the reverse approach with a CLT Now let’s reverse the situation. You wish to provide income to a charity for a set period after your death, with the remainder passing to your beneficiaries. The charitable lead trust (CLT) provides a way to do this—and obtain a partial charitable deduction for your estate. Gain an income tax deduction with lifetime charitable gifts You can use the above techniques during your lifetime as well. And if you create a charitable trust during your life, you may be entitled to an income tax deduction for the portion that government tables calculate to be the charitable gift. This way, you can reduce both your income and estate taxes. The benefits are even greater if you fund the trust with appreciated assets. Let’s say you transfer appreciated securities to a CRT. After receiving the stock, the trustee sells it and reinvests the proceeds. Because a CRT is tax exempt, no capital gains tax is owed. The trustee is able to reinvest the full proceeds, thus increasing the annual cash income to you or your chosen beneficiaries. Who will take over the business when you die? Owners often fail to develop a management succession plan. It’s vital to the survival of the business that successor management, in the family or otherwise, be ready to take over the reins. How will the IRS value your company? Because family-owned businesses arena’t publicly traded, knowing the exact value of the business is difficult without a professional valuation. The value placed on the business for estate tax purposes is often determined only after a long battle with the IRS. Plan ahead and ensure your estate has enough liquidity to pay estate taxes and support your heirs. Take advantage of special estate tax breaks Current tax law has provided two types of tax relief specifically for business owners. Section 303 redemptions.Your company can buy back stock from your estate without the risk of the distribution being treated as a dividend for income tax purposes. Such a distribution must, in general, not exceed the estate taxes and funeral and administration expenses of the estate. One caveat: The value of your family-owned business must exceed 35% of the value of your adjusted gross estate. If the redemption qualifies under Sec. 303, this is an excellent way to pay estate taxes. Estate tax deferral. Normally, estate taxes are due within nine months of your death. But if closely held business interests exceed 35% of your adjusted gross estate, the estate may qualify for a deferral of tax payments. No payment other than interest is due until five years after the normal due date for taxes owed on the value of the business.The tax related to the closely held business interest then can be paid over as many as 10 equal annual installments. Thus, a portion of your tax can be deferred for as long as 14 years from the original due date. Interest will be charged on the deferred payments. The agreement controls what happens to the company stock after a triggering event, such as the death of a shareholder.For example, the agreement might provide that, at the death of a shareholder, the stock is bought back by the corporation or that the other shareholders buy the decedent’s stock. A well-drafted buy-sell agreement can solve several estate planning problems for the owner of a closely held business and can help ensure the survival of the business. SOMETIMES PUTTING OFF UNTIL TOMORROW MAKES SENSE Lee owned a small manufacturing company that accounted for 50% of his estate. When he died in October 2015, his estate’s total estate tax liability was $1 million. Half of the liability was due at the normal due date of his estate’s tax return in July 2016 (nine months after Lee’s death). The other $500,000 of liability could be paid in 10 installments, starting in July 2021 (five years and nine months after Lee’s death) and ending in July 2030. Lee’s estate would also have to pay interest on the unpaid liability each year, but at special low rates. For example, assume your business is worth $500,000 today but is likely to be worth $1 million in three years. By giving away the stock today, you’ll keep the future appreciation of $500,000 out of your taxable estate. Standard estate planning strategies don’t fit every situation. Single people, unmarried couples, non citizen spouses, individuals planning a subsequent marriage and grandparents are among those who might benefit from less common techniques. In this section, we look at several special situations and estate planning ideas that may apply to them. For single people, the scheduled repeal of the estate tax may be especially helpful because it eliminates (at least temporarily) the disadvantage of not having the unlimited marital deduction, which allows a spouse to leave assets to a surviving spouse’s estate tax-free. But a will or a living trust can ensure that your loved ones receive your legacy in the manner you desire. In addition, with the use of trusts, you can provide financial management assistance to your heirs who aren’t prepared for this responsibility. Estate planning for subsequent marriages can be complicated, especially when children from a prior marriage are involved. Finding the right planning technique for your situation not only can ease family tensions but also can help you pass more assets to the children at a lower tax cost. A QTIP marital trust can maximize estate tax deferral while benefiting the surviving spouse for his or her lifetime and the children after the spouse’s death. Combining a QTIP with life insurance benefiting the children or creatively using joint gifts can further leverage your gifting ability. Because unmarried couples aren’t granted rights automatically by law, they need to create a legal relationship with a domestic partnership agreement. Such a contract can solidify the couple’s handling of estate planning issues. In addition, they don’t have the benefit of the marital deduction. There are solutions, however. One partner can reduce his or her estate and ultimate tax burden through a traditional annual gifting program or by creating an irrevocable life insurance trust or a charitable remainder trust benefiting the other partner. Again, these strategies are complex and require the advice of financial, tax and legal professionals. The marital deduction differs for anon-U.S. citizen surviving spouse.The government is concerned that,on your death, your spouse could take the marital bequest tax-free and then leave U.S. jurisdiction without the property ever being taxed. Thus, the marital deduction is allowed only if the assets are transferred to a qualified domestic trust (QDOT) that meets special requirements. The impact of the marital deduction is dramatically different because any principal distributions from a QDOT to the non citizen spouse and assets remaining in the QDOT at his or her death will be taxed as if they were in the citizen spouse’s estate. Also note that the gift tax marital deduction (for non citizen spouses) is limited to a set amount annually. You may be one of the lucky ones who aren’t only personally financially well off, but whose children are also financially set for life. The downside of this is that they also face the prospect of high taxes on their estates.You may also want to ensure that future generations of your heirs benefit from your prosperity. To reduce taxes and maximize your gifting abilities, consider skipping a generation with some of your bequests and gifts. But your use of this strategy is limited.The law assesses a GST tax equal to the top estate tax rate (see Chart 1 on page 8) on transfers to a “skip person,” over and above the gift or estate tax. Keep in mind that this tax is scheduled to be repealed along with the estate tax in 2010. A skip person is anyone more than one generation below you,such as a grandchild or an unrelated person more than 371⁄2 years younger than you. Fortunately, there’s a GST tax exemption,which in 2008 equals the estate tax exemption of $2 million. (Also see Chart 1.) Each spouse has this exemption, so a married couple can use double the exemption. If you exceed the limit, an extra tax equal to the top estate tax rate is applied to the transfer­over and above the normal gift or estate tax. Outright gifts to skip persons that qualify for the annual exclusion are generally exempt from the GST tax. A gift or bequest to a grandchild whose parent has died before the transfer isn’t treated as a GST. SKIPPING OUT ON ESTATE TAXES Saul and Eleanor have accumulated a sizable estate, as has each of their children. Because their children are financially secure, Saul and Eleanor have structured their wills so that the full generation-skipping transfer (GST) tax exemption amount from each of their estates goes to their grandchildren after both of their deaths. By doing this, they are each able to take advantage of their generation-skipping transfer tax exemption. Although their estates must pay estate taxes, they avoid having their assets taxed again in their children’s estates. They can also pass the future appreciation on those assets to their grandchildren tax-free. Taking advantage of the GST tax exemption can keep more of your assets in the family. By skipping your children, the family may save substantial estate taxes on assets up to double the exemption amount(if you’re married), plus the future income and appreciation on the assets transferred. Even greater savings can accumulate if you use the exemption during your life in the form of gifts. If maximizing tax savings is your goal,consider a “dynasty trust.” The trust is an extension of the GST concept. Rather than the assets being included in the grandchildren’s taxable estates, the dynasty trust allows assets to skip several generations of taxation. This is available only in jurisdictions that have abolished the “rule against perpetuities.” Talk with your tax adviser for more information on how this may affect your estate plan. Simply put, you create the trust either during your lifetime by making gifts or at death in the form of bequests. The trust remains in existence from generation to generation. Because the heirs have restrictions on their access to the trust funds,the trust is sheltered from estate taxes.If any of the heirs have a need for funds,the trust can make distributions to them. California, and nine other states have community property systems: Alaska (elective), Arizona, Idaho, Louisiana, Nevada, New Mexico, Texas, Washington and Wisconsin. Under a community property system, your total estate consists of your 50% share of community property and 100% of your separate property. What’s the difference? Community property usually includes assets you and your spouse acquire under two conditions: 1) during your marriage, and 2) while domiciled in a community property state. Each spouse is deemed to own a one-half interest in the community property,regardless of who acquired it. For example, wages and other forms of earned income are treated as community property,even if earned by only one spouse. In most community property states, spouses may enter into agreements between themselves to convert separate property into community property or vice versa. This can be an important part of your estate plan. After the death of one spouse, the surviving spouse retains control of his or her community interest. Reap the basis benefit Assets are usually valued in your estate at their date-of-death fair market values. (Sometimes assets are valued six months after death, but only if the estate has dropped in value since the date of death.) For example,stock you purchased for $50,000 that is worth $200,000 at the time of your death would be valued in your estate at $200,000. The good news is that your assets receive anew federal income tax basis equal to the value used for estate tax purposes. In our example, your heirs could sell the stock for $200,000 and have no gain for income tax purposes. Their income tax basis would be $200,000 instead of your $50,000. Community property owners receive a double step-up in basis benefit. If the $200,000 of stock in the previous example were community property, only one-half of the stock ($100,000) would be included in the estate of the first spouse to die. But, the income tax basis of all of the stock rises. Therefore, the surviving spouse could sell his or her 50% share of the stock at no gain,as well as the decedent’s 50% share. Sometimes the basis rule works against you. If property is valued in your estate at less than the cost to you, the heirs still receive an income tax basis equal to the date-of-death value. If you had purchased stock for $75,000 that was valued in your estate at $50,000,your heirs would receive a basis of$50,000. If the heirs later sold the stock for $100,000, they would have to realize a gain of $50,000 ($100,000 – $50,000) rather than again of $25,000 ($100,000 ­ $75,000). Watch out for unwanted tax consequences with ILITs Several community property state issues must be taken into account to avoid unwanted tax consequences when an ILIT owns a life insurance policy. These typically relate to who owns the policy before it’s transferred to the trust and whether the future premiums are gifted out of community property or separate property. For example, if you give an existing policy that was community property to an ILIT and the uninsured spouse is a beneficiary of the trust, the estate of the surviving uninsured spouse could be taxed on 50% or more of the trust. However, proper titling of the policy, effective gift agreements between spouses and proper payment of premiums can avoid this problem. Be sure to get professional advice on these arrangements. Distinguish between separate and community property for FLPs For community property state residents, it’s important to state in the FLP agreement whether the FLP interest is separate or community property. In addition, you should consult your attorney to determine if a partner’s income from an FLP is community or separate property. 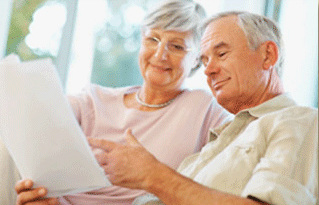 Estate planning is an ongoing process. You must not only develop and implement a plan that reflects your current financial and family situation, but also constantly review your current plan to ensure it fits any changes in your circumstances. Of course, with the probability that more estate tax law changes will occur in this decade, reviewing your estate plan regularly is now more critical than ever. You’ll especially want to update it after significant life changes.